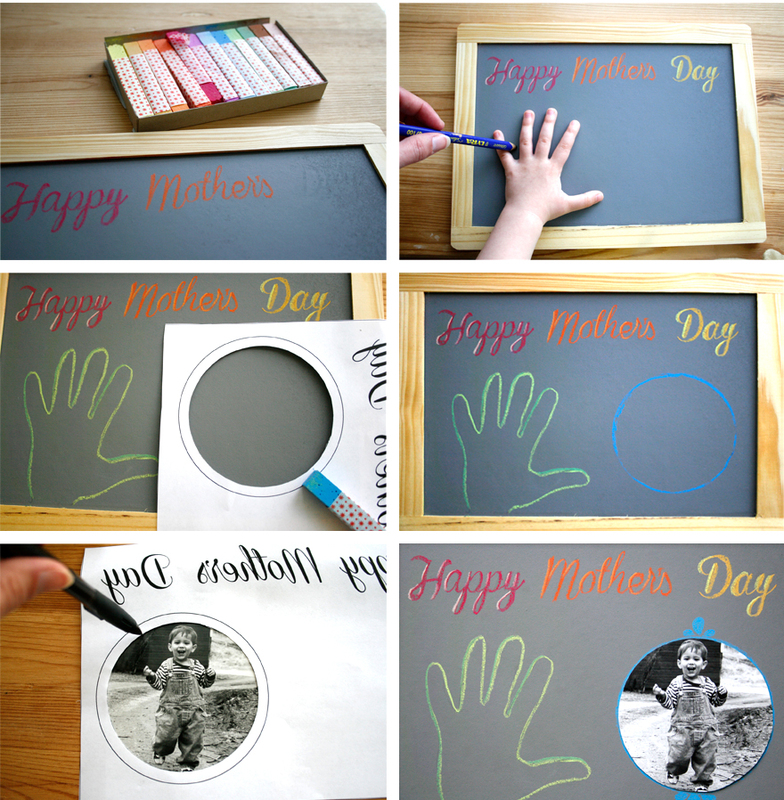 Give Mom the perfect gift this Mother’s Day with a picture frame created from a chalkboard. Children will find joy in charming grandma with this precious project made from (1) our Chalkboard, (2) our Mercurius Pastel Blackboard Chalk and (3) Palumba’s Three Beautiful Bees Wood Polish, which gives the wood frame a rich, nontoxic luster and keeps it from drying out. Follow the steps below for a winning gift! The first thing that you’ll want to do is polish the frame. For more information on wood care see our post about it here. Then write your message across the top, trace your little one’s hand, cut out your favorite picture and decorate. I printed a template to help me cut the picture in a circle (a compass would work great also) and to copy the font for spacing. Then I taped the picture to the chalkboard, and accented it with its own chalk frame. I used the oil-based Mercurius chalk for rich, vibrant colors. The best thing about this gift is that it can be reused to provide a place at grandma’s where older children can entertain themselves drawing or playing school once the novelty of the gift has worn off!